This page gives you instructions for embedding a video in your Moodle course from either YouTube or theBox. 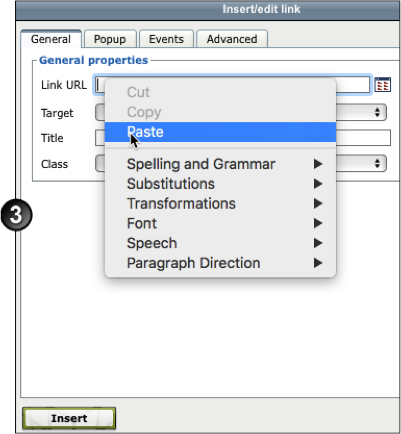 You can do this wherever the Moodle text editing box displays in the course. When you embed a video in Moodle, it is still stored on the video hosting site (e.g. 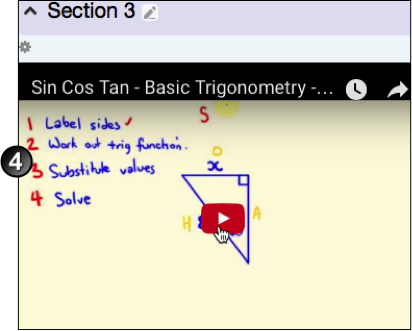 on YouTube or theBox), but you can view it directly in Moodle. Students can also embed videos in forums they post to in Moodle. If you expect that they will do this, in your forum introduction include a link to the student instructions for video embedding. 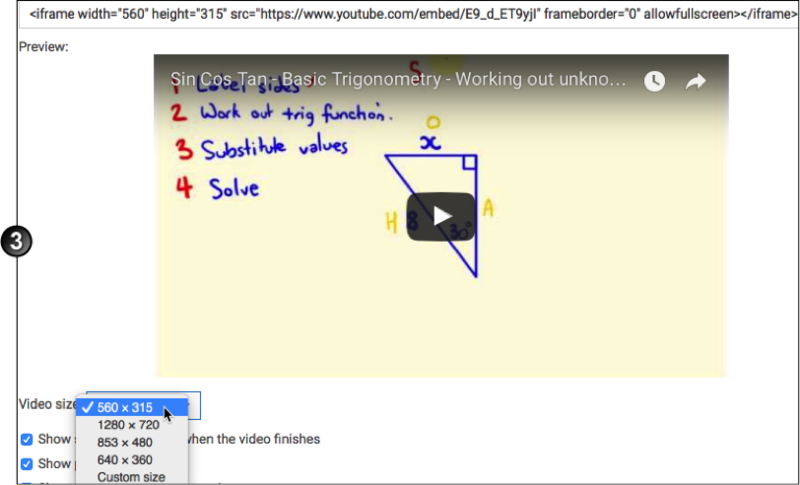 You can embed a video from YouTube or theBox wherever the Moodle text editing box displays in the course. For example, you might want to include a video to welcome students and introduce yourself in an HTML block, or include some YouTube footage of a relevant recent news event in a forum introduction. Including video elements in your course can bring life and movement to an otherwise static page, and increase student engagement. Videos can be lectures, interviews with experts, demonstrations, animated explanations of concepts etc. Make appropriate adjustments to your videos in classes with hearing or sight-impaired students. For example, provide a transcript or precis of spoken material for hearing-impaired students. Also, be aware of any bandwidth limitations students may be facing. If a large number of your students have a slow Internet connection or a limited data plan, do not rely heavily on video elements in your course. Embed a video from theBox. theBox is UNSW's Media Management Tool. View instructions on how to use theBox to upload and share videos in your Moodle course. Embed media directly from your device. You can use the hardware on your device to record and embed media wherever the text editing box is available for entering content. In the Insert/edit image window, select Find or upload a sound, video or applet. In the File picker, select theBox. You will then be presented with the options available on your device, in this case we have Camcorder and Voice Recorder available. Please note that while Camera is listed you will not be able to embed still images with the Moodle media tool. To embed still images from your camera, use the insert/edit image tool. This is the most straightforward method of inserting a YouTube video in a course, but you cannot resize the video once it is uploaded. Locate the relevant video on the YouTube website, and copy its URL. In the text editor of the page where you want to embed the video, highlight the link text and click the link icon. In the Insert/edit link window, paste the URL into the Link URL field and click Insert. The text will display in the text editor as link text. Click Save Changes. The video will be displayed in the chosen location. Go to the YouTube page for the relevant video. Below the video frame, click Share. Options for sharing will display. Click Embed. An embed code box displays, with some options below it. If the standard embed size of 560 x 315 pixels is suitable for your course purposes then go to step 4 below. Otherwise, click on Show more and at Video size, choose the other size options or select Custom size and enter preferred width and height. Select all the code in the embed code box and Copy it. In Moodle, in the text editor, click the Edit HTML Source icon. In the HTML Source Editor, click where you want the video to display, and Paste in the embed code. Click Update and then Click Save. In the text editor, click the Edit HTML Source icon. In the HTML Source Editor window, locate the HTML tags for width and height. The numbers accompanying these tags indicate the current pixel width and height of the video. Change these numbers to suit the size you want, being careful to maintain the aspect ratio so that the video does not become distorted. Check that your video displays at the correct size.